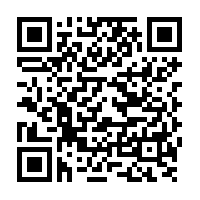 Find in this link the GitHub repository, free source available for download. 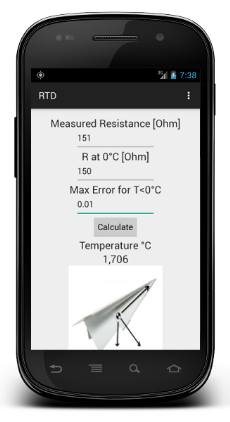 We have just released a new update of the BasicAirData Resistance Temperature Detectors App. This application can be useful during an Outside Air Temperature probe use. The app can handle any type of sensor that follow the Callendar-Van Dusen equation, for example (PT stands for platinum) PT100, PT250, PT500, PT1000. Not matter what is the element type; wire-wound, thin-film or ceramic they all are good. For the calculation of negative temperatures an iterative gradient method is used, precisely the Newton method is implemented. It’s possible for the user to specify the desired convergence value on the main application screen. Is to be noted that the algorithm usually converges in four iterations, with a set convergence interval of 1/1000, so required resources and execution time are contained. C=-4.183e-12, C=0 when temperatures are greater than zero °C. Coefficients are compatible with EN60751, ITS-90 specifications and similar standards.